Run like the Wind in, Naruto – Shinobi Collection Shippuranbu on iTunes Japan Store! Hello everyone! Nick here, bringing you some news on a Naruto game coming out for iOS on the Apple Japan iTunes Store! 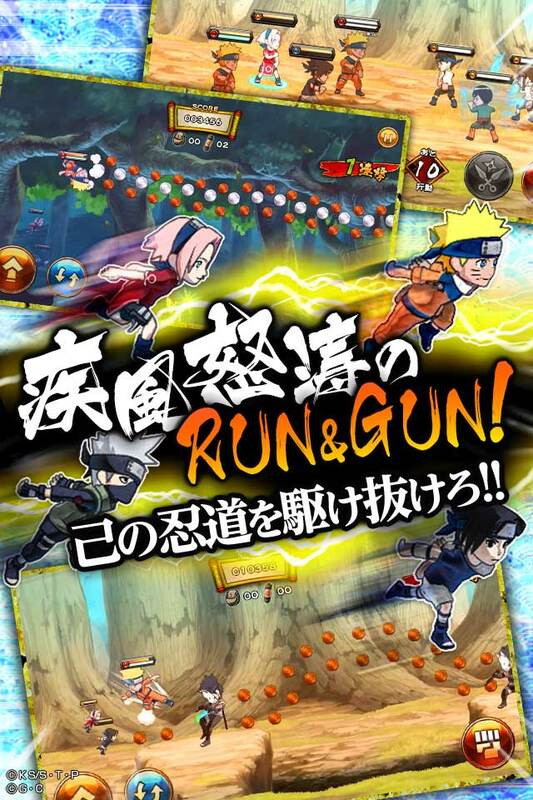 It's called, Naruto – Shinobi Collection Shippuranbu, or ナルト- 忍コレクション 疾風乱舞, and it will be an endless-runner game that is due to be released in the new week or by Japanese gaming publisher, Gree! For those of you who love the Naruto franchise, this should be very exciting for you to see this type of crossover game on mobile devices! Players will be able to choose between some the notable Naruto characters and use special "Ninja combos" to attack foes throughout the story line. So far Naruto has not seen success on mobile devices, translated into a game so I am rooting for this title, and that it will bring more attention to the series and give the fans what they want in terms of content and fan service. No word yet on an exact release date, but you can guarantee that this will soon pop up on the Japanese iTunes Store under games! In order to enjoy content like this on your mobile device you are going to need a Japanese Apple ID, and if you do not yet have one we have a quick guide for you to follow right here! Naruto – Shinobi Collection Shippuranbu will be free to download and play but will offer some really neat in-app purchases. At JapanCodeSupply we offer you the cheapest, safest and most instant digital delivery of Japanese iTunes Gift Cards so that you can take your gaming to the next level! Best of luck! Downloaded it from qooapp for android but it doesn’t work…..